Sri Lanka. 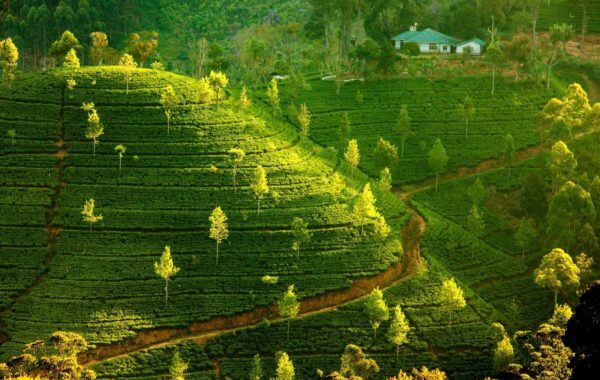 It’s a name that conjures up a rich tapestry of images: Pristine beaches, rolling green tea plantations and fascinating and exotic cultural traditions. Throw in the grace and favour of some stunning colonial era luxury hotels and you have an intoxicating concoction. 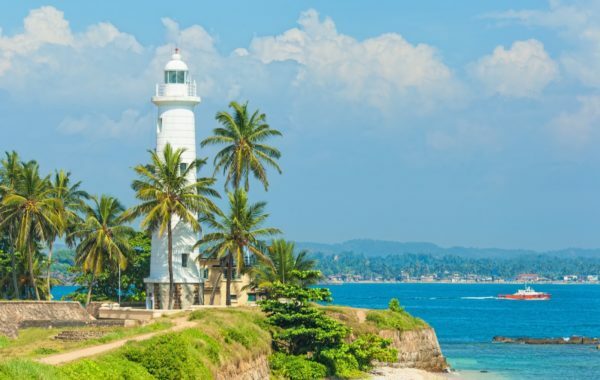 Yonder’s 14-night Sensational Ceylon itinerary provides a Sri Lanka luxury holiday that will whet your appetite for more. This epic holiday weaves together Yonder’s core ingredients of culture, luxury and the road less travelled. This is luxury travel in Sri Lanka that will linger long in the memory for all the right reasons. Frankly, it’s a triumph. Why? Because it’s a tailor-made tour (you can swap components as you wish) that consistently delivers sheer delight. Arriving in Colombo, you’ll walk through the sliding glass doors of the arrivals hall to be met by your Yonder chauffeur-guide. After brief introductions, you’ll hit the road for the journey north-east towards the Cultural Triangle. On arrival at Ulagalla, a magnificent old manor house with its plunge pool pavilions scattered across the paddyfields, you’ll encounter their traditional warm welcome. This will be your home for the next couple of nights. 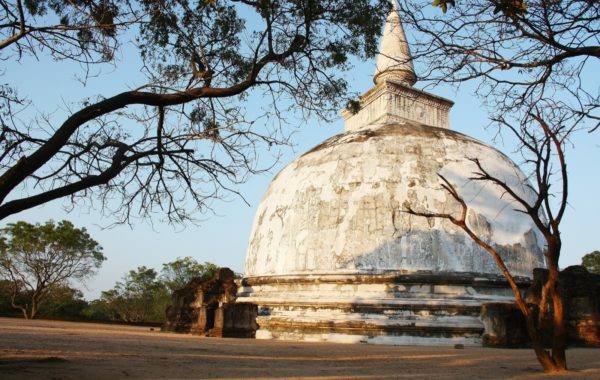 Here, you can recuperate from your flight as well as go out with your guide and explore the ancient ruins of Anuradhapura. If romance for you is all about being up close to nature, Ulagalla, in the heart of Sri Lanka’s Cultural Triangle, will quickly have your heart missing a beat as you encounter monkeys, peacocks and lumbering elephants while wandering hand-in-hand through glorious acres. En route to Kandy, you will stop at Sigiriya, the rock fortress, that dramatically rises 200m above the surrounding complex system of ancient water gardens. The far-reaching views are spectacular. After your descent, via a cavern containing beautiful wall frescos, you’ll journey on to Dambulla caves. A sacred buddhist pilgrimage site for 22 centuries, the five cave temples offer a fascinating insight to the evolution of Buddhism. 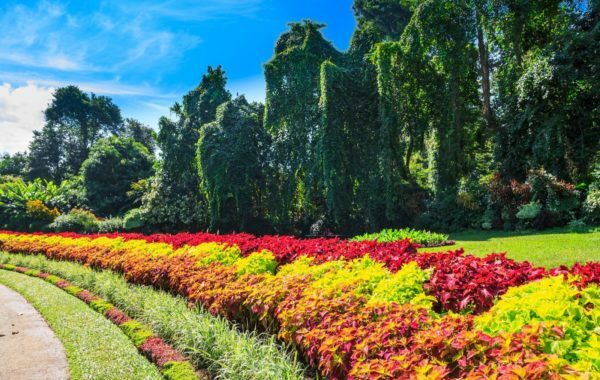 Once in Kandy, your guide will show you the fabulous botanical gardens and will give you a tour of the revered Temple of the Tooth. Your new digs will be Kandy House, a charming ancestral property replete with uniquely designed bedrooms and offering a superlative gourmet experience. Without doubt, the number one hotel in Kandy, Sri Lanka. But it is small with only nine rooms and competition to get a reservation is intense. 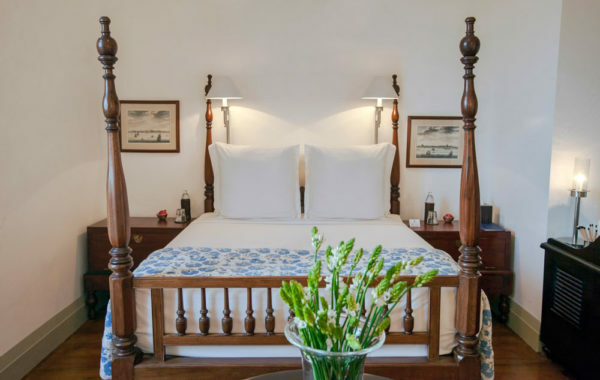 This exceptionally pretty old manor house, with its seven trademark arches enclosing the front verandah, has been skilfully converted into a boutique hotel with style and charm. It takes about 15 minutes for your driver to take you here from the centre of Kandy. Once, inside you’ll get an immediate sense of the extraordinary; soothed by the sense of serenity and calm. You’ll leave Kandy on tracks. The scenery on the train journey is amongst the most spectacular you’ll see on your luxury holiday in Sri Lanka. 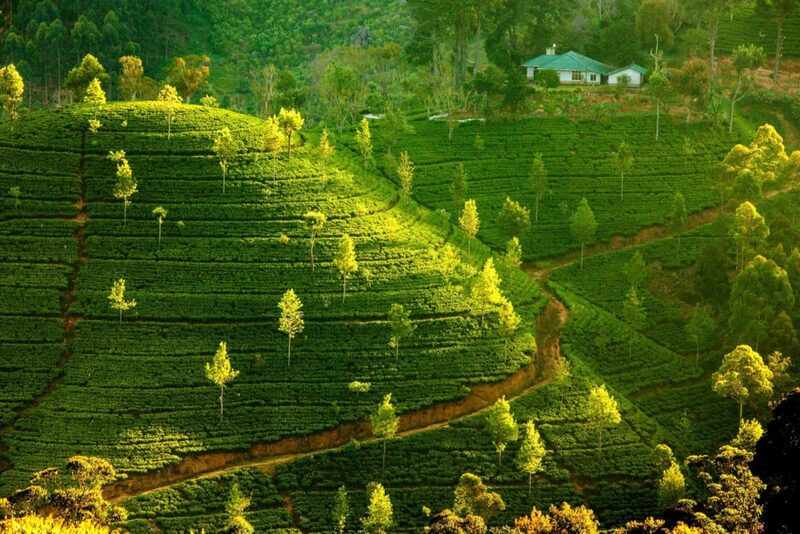 On arrival at the remote hill station of Hatton, you rejoin your driver for the short ride to Ceylon Tea Trails. Your experiences here will long be etched into your minds. 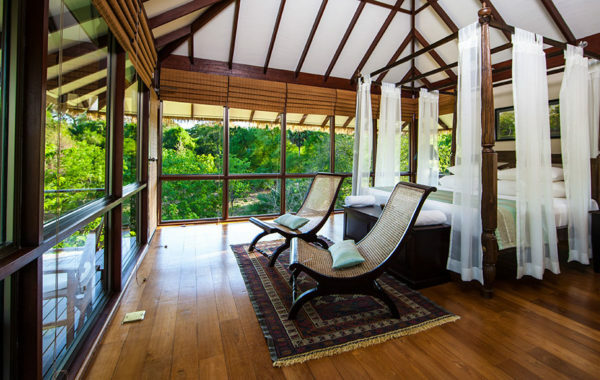 Whether it is your daily chat with your chef about your culinary whims or the mind-blowing walks on the trails through the plantations, you’ll be smitten. 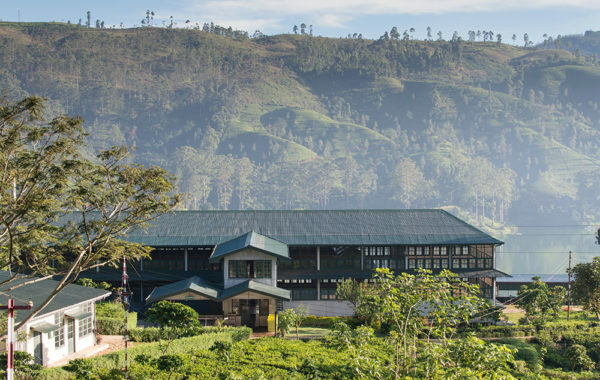 Your stay will include a visit to their working tea factory as well as a delicious and therefore obligatory daily high tea. And in between drinking the fragrant nectar and gorging on the superb food, you can find a spot in the summer house, by the pool or even by the roaring fire to curl up with a book and marvel at the views. Tea Country's truly first class accommodation. The concept is simple in its perfection: elegant colonial charm combined with modern luxuries. World-class dining (including afternoon cream teas) and all-inclusive rates. What more could you hope for? After an early breakfast, you’ll leave the high rolling hills and head south-east towards the coast. 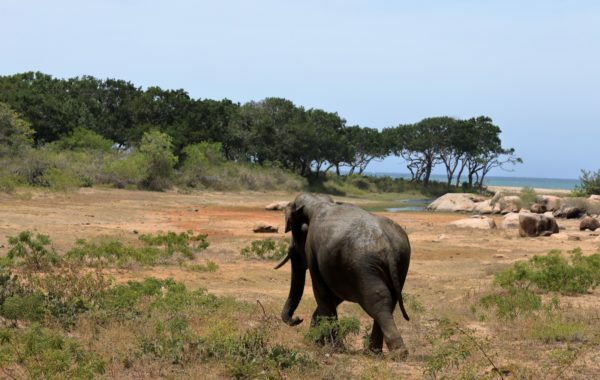 Your next port of call is Yala National Park and hopefully a meeting with its famous residents. 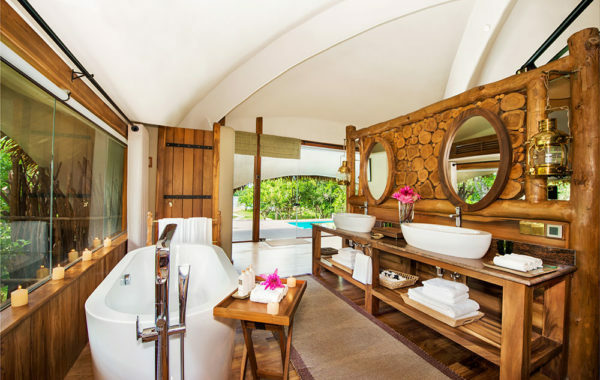 You’ll have no trouble settling in at Chena Huts, your ‘rustic’ safari lodges complete with their own private plunge pools, air-conditioned bedrooms and free-standing baths. You’ll have three included game drives in a private safari vehicle into a park that is famed for having the world’s densest concentration of leopards. You’ll inevitably see plenty of crocs, deer and a vast array of fabulous birds – and fingers crossed for a rendezvous with a sloth bear, jackal or even the A-list big cats. There is also a good chance of seeing elephants and an array of other mammals throughout the vast savanna-like park. Chena Huts at Sri Lanka’s Yala National Park was one of our top picks for 2017. It is newly opened and is the latest member of the estimable Uga Escapes group’s world-renowned portfolio of luxury boutique hotels. The drive from Yala to Tangalle hugs the southern coast line. 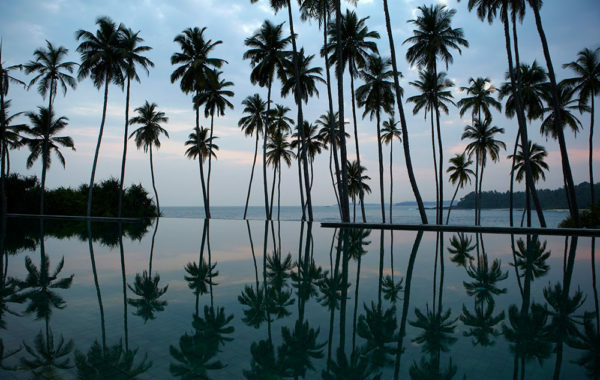 You are heading for Amanwella, a sanctuary of perfection on an exquisite beach a few miles from Tangalle. Here, indulged and pampered, you will want for nothing. 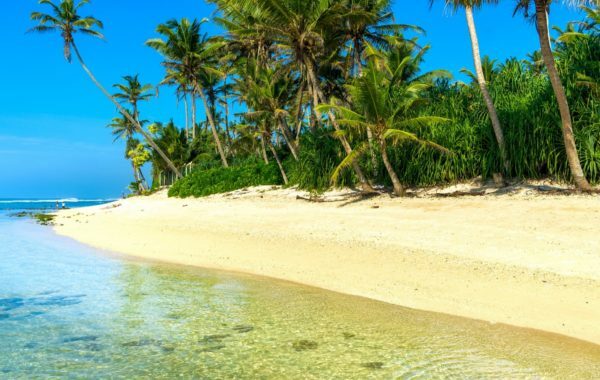 Trying decisions such as choosing between the huge infinity pool overlooking the crescent of sand or the sunbeds positioned under the palms on the beach are about as difficult as it gets. This is R&R at its very finest. Lazy lounging absolutely guaranteed! If ever there was a hotel designed to front a postcard this would be it. Without doubt, Amanwella, in Tangalle, is the leading luxury beach hotel in Sri Lanka. Located about 20 minutes from Tangalle on an almost private beach, Amanwella is the ultimate place to recuperate after a blistering tour of Sri Lanka or to jet into to escape the rat race of the daily grind. On your penultimate day, you’ll prise yourself away from Amanwella safe in the knowledge that your next stop is no less salubrious. Amangalla, majestic in its splendour, in Galle Fort awaits for the last night of your luxury holiday in Sri Lanka. Galle Fort is an absolute delight and its reputation stretches far and wide. It is the largest thriving old colonial fort in Asia and counts artisans, gem traders and chic expats amongst its residents. Having passed through Portuguese, Dutch and British hands owing to its strategic location on the spice route, it is a melting pot of Western colonial architecture combined with Arab influences and native Sri Lankan culture. On your final day, your driver will whisk you out of Galle and up the new highway to the airport for your international flight. If you’ve yet to sample the Aman experience, you’re in for a very special treat at Amangalla. Formerly the fabled New Oriental Hotel in historic Galle, Sri Lanka, it’s now an Aman hotel. What more is there to say? 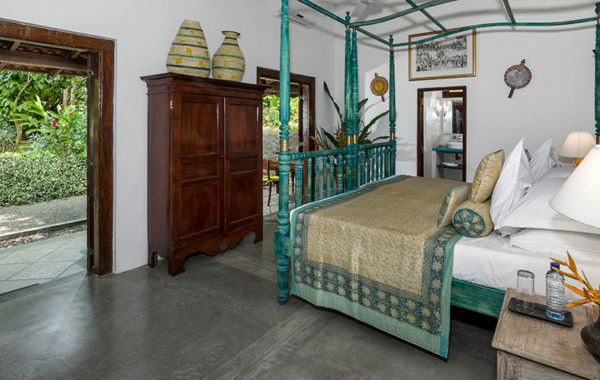 A Yonder favourite, the Amangalla Galle has the period charm of a bygone era. Built in 1684, the historic edifice retains its heritage in every architectural and decorative detail. 13 nights in Yonder's hand-selected luxury properties. All breakfasts are included. Lunches, evening meals and drinks are included where mentioned.